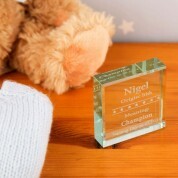 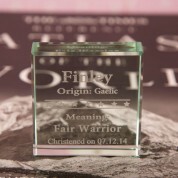 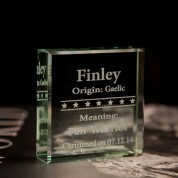 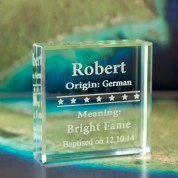 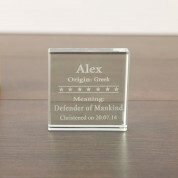 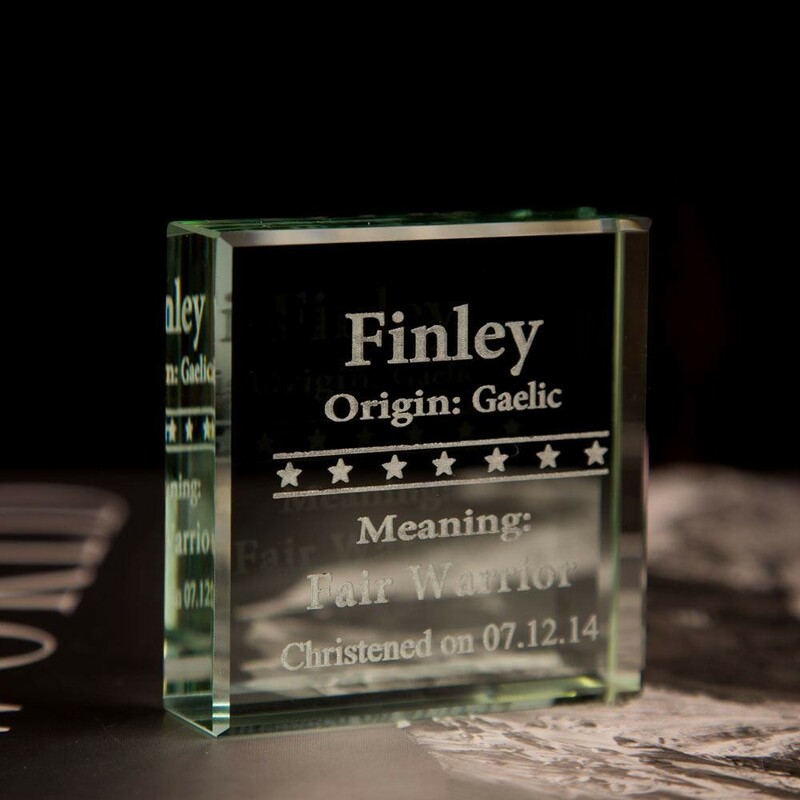 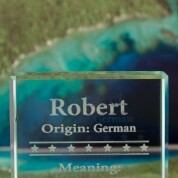 This unique glass block is a perfect gift to celebrate and remember a Baptism, Christening, Dedication or Naming Day. 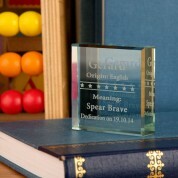 Each block is attentively engraved in house and features the name meaning and origin as well as the occasion date. 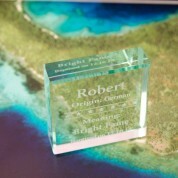 The personalised touch makes it a unique gift for this special occasion. 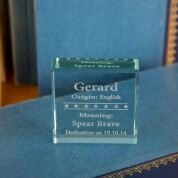 It would tie in with any bedroom decor and would look the part displayed on a book shelf or on top of a chest of drawers set. 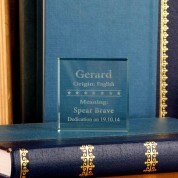 Presented in a beautiful box, it is a wonderful keepsake that can be treasured forever.